Vladimir Putin has won the Russian vote and is about to embark on his second consecutive term as the Russian President. What lies ahead for Russia and the world now? That question is put to the official spokesman of the Russian President, Dmitry Peskov. Dmitry Peskov: It’s a historical record of our country. SS: Yeah, but everyone thought he’s going to win. Even people who don’t like him were like ‘of course, he’s going to win’. There was no doubt about it. The bets were like 60-65%. But this - did you expect this result? DP: No. And himself, he said actually that it was quite unexpected for him. It was quite unexpected. And now, of course, as a President of a country when you have this level of support you feel the level of responsibility. Because every leader carries a burden of responsibility of this support. SS: I was in America and in Europe recently. What they are saying is that because there’s so much pressure from the West towards Russia that kind of helped consolidate Russian public opinion and helped Putin gain this much votes. Do you agree with that? DP: Partly yes, of course, we can hardly ignore this effect of international pressure coming from the outside. And because this is Russia, it’s an outstanding country with its own traditions, historical traditions and historical mood of people. When they face any pressure coming from the outside they unite and they unite around a strong leader. This happened numerous times during our history. And, of course, partly it’s happening now because when you see an unprecedented pressure, when you see even craziness coming from some countries, you understand what I mean, people cannot tolerate it, they resist. And while resisting they unite around a strong leader. DP: Well, actually he never said that. SS: He never said that? DP: Well, of course, you have to be very precise when you quote Putin. SS: What was his exact quote? DP: Otherwise he will say that you’re b******ting like myself. DP: He said: “Not yet”. But it’s not about changing constitution or ... The constitutional reform is a more complicated thing. And you have to be precise in quoting that. So, he never did it before. He never did it in year 2008 and he was enjoying again the overwhelming support of the people in this country. And presumably should he wanted that in year 2008 he could have easily done it - to change the constitution and to adjust the constitution in accordance with his own political perspectives. He never did that. And we don’t have any slightest reason not to believe him, not to trust him, not to think that he is not going to adjust the constitution in accordance with his personal political will. The only thing that he’s pursuing, the only goal is the goal of ensuring the rising prosperity of the people of this country, stability of this country and economic breakthrough of this country. SS: So, just to precise, when he meant “no constitutional reform yet’ he meant that maybe there will be a constitutional reform but it wouldn’t be tied to his personal staying or not staying in power? Is that what you’re saying? SS: Ok. I know that after the elections this term is going to be focusing on internal affairs, is going to be focusing what’s going on in the economy. What would that mean for the foreign policy? Would that isolate Russia even further from the rest of the world? DP: No, to the contrary. Russia and President Putin is looking for repairing relationship where it is possible and looking for developing and furthering relationships with various countries, especially our partners in Europe, with the United States, and proceeding in this developing as far as our partners are ready to. The foreign policy, as far as I can interpret it, in Putin’s understanding the main purpose of foreign policy and international relations is to ensure a comfortable environment for implementing of domestic tasks. So he’s quite understandable in his domestic tasks, he’s got quite a clear plan of development, and understanding of preliminary tasks, of secondary tasks and so on and so forth. So what he needs is the support of diplomacy to ensure a comfortable environment for that. SS: We’ve got a lot of questions whether there’s a room for maneuvering between West and Russia and whether there’s place for creative diplomacy. But first I want to ask you about us - what we do and the consequences that what we do entails in the West? For instance, when the president was addressing the nation he unveiled new weapons to the world, then he said ‘no one has this kind of weapons - these are the best, the fastest’. And he said ‘now the world will listen’. Do we need to show weapons in order for the world to listen to us? Do we not have other means to get our message across? DP: Well, he’s been trying to send his message across since 2002 or 2003. I don’t remember exactly right now. When the United States abandoned the Treaty of Anti-Missile Defense there was a very serious threat for mutual nuclear deterrence and this is a basic element of the international stability and security. Since then Russia has found itself as a state being under siege of attempts of neutralizing its nuclear potential, its nuclear capabilities, thus endangering the existence of nuclear deterrence. And despite sending signals of non-acceptance of this process, proposing various compromises, proposing cooperation in ensuring international stability, unfortunately, our country failed to meet reciprocity. As a result, the only way was to show that in any case, despite all the efforts of our counterparts in this story, despite their continuous efforts to build an anti-missile shield, Russia will be capable of ensuring mutual deterrence system. SS: Do you feel like this is working - showing that we have the best weapons in the world? DP: Well, if you analyse the reaction coming from responsible members of international society, you will see that there’s a certain understanding of necessity of urgent negotiations on international security and even disarmament. SS: Trump just complained recently after a phone call to Moscow that this arms race is getting out of hand - out of whose hand? DP: We know that nuclear weapons are made not to be used. They are made to protect. And the main purpose of existence of nuclear weapons is not to be used ever. So they protect and they ensure stability. They ensure this balance. But we’re not only two countries carrying nuclear weapons, nuclear potential. There are other countries, countries that are about to become nuclear powers or countries that are endangering the world to become nuclear powers, countries that might have already become nuclear powers. We all know that and all this can lead to change of balance and that is extremely dangerous. Cooperation between the leading nuclear powers is needed to ensure the process of non-proliferation, to cooperate in the strategic stability. DP: And then it’s going to be reduced, it’s percentage out of GDP. SS: Yeah, how can anybody talk about an arms race seriously? DP: Well, of course, we cannot compare our military expenditures. In five years we’re going to spend less than 3% of our GDP for military defense purposes and for arms production purposes. It cannot be compared with the expenditures of the United States. But I would like to remind you the latest statements of President Putin. Russia is not going to be driven into an arms race. It doesn’t correspond with President Putin’s primarily goal of domestic economic development and domestic breakthrough in economy. So we all, and President Putin, do not need an arms race. It was confirmed and declared by President Putin and this is the main declaration that we have to take into account. SS: Mr. Peskov, so when NBC’s Megyn Kelly asked him about whether we’re in a new Cold War or not, President Putin dismissed it as “propaganda”. He said: “No, anyone who’s saying that America and Russia are at a new Cold War, it’s part of propaganda”. When you really look at the facts, there are troops at Russia’s borders, and they are getting closer and closer, Russia’s creating new weapons, there’s this huge media war going on between the countries, accusations flying back and forth especially towards Russia with the poisoning or meddling in the elections… What is it then if not a Cold War? What’s happening between America and Russia right now? DP: We’re witnessing lots elements of the Cold War and, unfortunately, we’re seeing more and more elements of the Cold War in our agenda and we’re facing it in the international relationship. Not all countries are comfortable with the rising Russia, with the leadership of President Putin. SS: They should be used to it by now. It’s been 18 years! SS: Why Russia? I mean, there’s China, it’s rising much faster. It’s incomparable to Russia how fast China is rising. India much less, but still there are so many countries that are rising. Whether we talk about human rights, what they accuse us of? It’s incomparable what happens in Russia and in those countries. But it’s Russia they demonize. In terms of even rising, they are even rising much faster than Russia. Why is that that Russia is always their eternal enemy? DP: I don’t think I can explain it in a couple of words. It’s a very complicated issue that needs much more deeper analysis. I think, it comes from history: Russia was treated as a rival, as an enemy for lots of centuries. SS: So it’s just laziness and falling back to the old paradigm? DP: Some will say that there are some remainings in attitude of Western countries towards Russia coming from that time. But that doesn’t mean that all countries in West share this philosophy. Lots of countries in Europe understand that Russia is an untakeable part of Europe and you cannot think about prosperous and developing Europe if you don’t see Russia being involved in all the European processes, that Russia’s voice has to be taken into account and so on and so forth. We cannot say that this angry attitude is an overwhelming one. It is very serious, unfortunately, but there are some voices, sober voices coming from various regions of the world. SS: I think, this angry voice is overwhelming if we are talking about the United States. I lived in the country for ten years, I love the country. But I have never ever encountered and seen anything like this anti-Russian hysteria. DP: Well, you know the perfectness of the brainwashing system. SS: I want to talk to you about that. I feel like the main difference between the Cold War now, even though Putin doesn’t like this as a term to describe what’s going on now, and the Cold War then, the actual Cold War, is the media war. Because now we have the media on both sides, and we should take a fair share of the blame here… Because what you have is that everything is out in the open. Back then there were rules of the game, you know, some boundaries that either side rarely crossed. Right now with the media putting out everything there is - what presidents think or say, what journalists think or say, what an average citizen thinks or says - that really takes this animosity to a whole new level, it takes it to the people’s level, which was never there before. I mean, the Soviet Union and America were ideological enemies, but people never hated each other. They hated each other systems, right? Soviets longed for all things in the West and vice versa. Right now what we have is this hatred on people’s level and, I think, the media are to be blamed for that. Do you feel like this unfiltered media war is really adding to the animosity between the two countries? DP: Extremely. People are naked against these media wars. They are victims of these media wars. And they cannot create their own point of view. They cannot be an owner of their own attitude. They are being not motivated but driven into a certain way of emotions without even understanding that. They simply cannot have any objective approach towards this or that event, towards this or that country. There’s a huge machine working. Actually what happened during the last three or four decades, Anglo-Saxon media started to rule the world - economic, commercial media and also political media. I mean the media from the United States and Great Britain. They are the most powerful, the most influential and they have the widest possible reach globally. And, of course, this feeling of monopoly brings a will to manipulate this monopoly. You can use this monopoly as a tool of delivering your point of view, whether it’s right or wrong it doesn’t matter, you can adjust it in accordance with the situation – to simply manipulate the brains of people throughout the world. And this is why they strongly oppose the appearance of any rivals, even small rivals like RT – in comparison with this huge machine. SS: Well, I wouldn’t say we’re small rivals. I would say we’ve done pretty well for the past ten years. DP: Of course, I sincerely believe that size doesn't matter here.You can be small, but you can do much more influential things. That is what you are doing. And that what makes them nervous because you are pretending to be a rival for them and this rivalry can ruin the system of brainwash. This is the reality what we see. SS: Do you feel like this media war should be put down a notch a little bit? Maybe someone should say from the top - ‘you, guys, take it easy, it’s getting out of hand’? DP: I would like to remind you that the Russian side through diplomatic channels, through various channels have proposed contacts with different partners in the world, in Western Europe, in the United States to cooperate against cyber terror, to cooperate in joint combating information fakes. No answer. Silence in answer. So no one would cooperate on these issues. And as a result we see all of a sudden willingness of the Anglo-Saxon media to enjoy the details of disaster happening in Aleppo and paying no attention to disaster happening in Raqqa, for example. When it comes to the actions of the coalition, to coalition planes and coalition bombings, tens of thousands of dead people, dead bodies lying there unburied, they wouldn’t pay any attention. You wouldn’t find any trace of information about it in the Anglo-Saxon media. Why? Because the purpose is different. The purpose is not to be objective. This is it. SS: And also, what has happened to the culture of dispute? I know, Ronald Reagan hated the Soviet Union, he never made it a secret that he wanted to break it up. But he went through the trouble to learn all the Soviet jokes so that he could troll the Soviets accordingly. Now what you get is this rhetoric back and forth, it’s just so desolating. I mean the latest coming from the British Defence Minister - “ just go away and shut up”. What happened...? DP: Britain is a different story, you know. SS: But still in general - what happened to this culture of dispute? DP: It’s getting lower and lower, unfortunately. What we see is the country of Byron and Shakespeare, the country of Conan-Doyle, the country that used to be a brilliant empire with immense political traditions of diplomacy and so on and so forth, it turned into a country where politicians are making, let me humbly say, irresponsible statements. This is a problem. It’s a reflection of a very hostile policy, predictably hostile policy. And this is the reality that we have to face and we have to minimize the consequences of this unfortunate reality for our country and we have to ensure using all possible diplomatic and political methods. We have to minimize the consequences for our own country and to ensure that conditions for our domestic purposes are suitable and comfortable. SS: So I’ve got to ask you about the spy scandal in Great Britain. There are three conspiracy theories, the most popular ones. First one is that Putin ordered the killing of the spy to get some tough guy points before the elections; the second one is that it’s the secret services who did it without Putin knowing. Forget about the third one. These two are the most popular ones. I don’t even know, which one is worse? DP: By the way, which is the third one? SS: It’s something in between. But those are the two most popular ones - that he ordered it to get some tough guy points before the elections, the second one was that he ordered it to provoke the West’s reaction, he knew that the West’s reaction will be very hostile towards Russia and that would further consolidate Russian voters around Putin. And the third one which, I think, is the worst one is that Putin didn’t know that his secret services just went long and executed. DP: These are artificially constructed theories. First, we have to remember, the starting point is words of President Putin that Russia has nothing to do with this accident. This is number one. Number two: we’re not speaking about an attempted murder of the Russian spy in Great Britain. We are speaking about the attempt to murder the British spy in Great Britain. He was a British spy and he is a British spy. He is not a Russian spy. DP: Well, he is a Russian citizen, but he is not a Russian spy. He was handed in to Britain as a result of an exchange. So, why should Russia hand in a man that is of any importance or that is of any value? It’s unimaginable. If he’s handed in – so Russia quits with him. He’s of zero value or zero importance. Go ahead! So this is number one. Number two - words of President Putin: “We’re not as crazy as to even to think about something of that kind before presidential elections and before such an important global event as the football championship”. Number three. The first accusations came from politicians just a couple of hours after the accident..A couple hours after the accident we heard the first accusations against Russia that ‘highly likely, Russia was responsible of that attempt of murder.’ And now we see the words of experts from the OPCW that say that the preliminary examination of this agent will take about three weeks. Is it contradictory? Yes, it is. Well, in general, why to blame Russia? Maybe it’s a very rude comparison especially in this situation, I don’t think that anything can be ruder than the reality but, nonetheless, just imagine: Moscow city, a car accident, there’s a victim in the car accident. And we see what was the car. The car was a British-made car. Let’s say, a Range Rover. And just imagine, that myself or the Foreign Ministry spokeswoman makes a statement that a man was killed by a British-made car in a car accident in the centre of Moscow and highly likely Prime Minister of Great Britain may be responsible for that murder. Is it crazy? It is crazy. DP: But why do you think it could have been a Russian-made bomb or Russian-made agent? SS: You’re saying we don’t have any proofs. DP: Well, Russia has completed destroying of its arsenal of chemical weapons. It was confirmed by the international observers. SS: What is your version? What happened? Is it an orchestrated thing? DP: We want to have a version. And we want to have a version as a result of Russia’s taking part in this investigation, at least receiving some data, receiving some information. You would probably notice that the briefing in the Foreign Ministry for ambassadors of various countries - we haven’t seen ambassador of Great Britain there. If Britain has questions in this case why wouldn’t the British ambassador come and hear the answers? As if they’re asking questions not willing to get any answers. As if they ask questions having judgements prior to that. This is extremely unfair. This is extremely contradictory with international law, international principles of behavior and diplomacy. This is unwillingness to see the reality, I mean, the absence of chemical weapons in Russia. And it’s not a Russia’s judgement, it’s a judgement of the international organisation, of the relevant international organisation. So this is it. SS: So, I agree, it’s unfair the way you put it. But what’s Russia going to do? Are we just going to step back and not say anything, not explain anything or are we just going to leave the ball in the British court? DP: Of course, no one should expect Russia to sit and keep silence against such craziness, against such aggressiveness and unpredictability. Of course, Russia will pursue its goals, Russia will defend its interests, Russia will answer every step of entire Russian origin and Russia will definitely continue to explain itself. And it’s doing this every day, you see all the discussions, all the explanations coming from responsible Russian ministers. Everything that can be said as a theory is improper. You know, I’m not a politologist, I’m not a journalist to throw any theories of the incident. We have to be very responsible against this incident. This is really very dangerous for all of us - the usage of a nerve agent in Europe. This is a danger for all of us. This was an attempt of killing of the Russian citizen. By the way, I don’t know if Mr. Scripal still has a Russian citizenship, but his daughter definitely has. And Russia is the country that, of course, needs to receive the information about the state of health of its citizen that was assassinated on the British soil. This is completely unfair to mention any slightest possibility of Russia’s being involved in that. SS:I want to talk to you about Trump and Putin’s personal relationship. I know that the two men don’t have hostilities on a personal level. Trump has said many times that he actually likes Putin and that he would like to mend ties with Russia. But every time he tries to do something there’s such an outrage whether it’s from Congress or from the media that it seems almost impossible. Does that mean that no matter who the U.S. President is there will be no detente between Moscow and Washington? DP: Well, we hope for the better and besides there’s a very strong necessity in maintaining dialogue between Washington and Moscow. When we have serious conflicts like in Syria or on the Korean peninsula and in various other regions in the world Russian-American cooperation is needed. Unfortunately, we see that not all the bodies of power in the United States are of that opinion. Yes, we’ve heard lots of statements coming from the American president saying that he would like to solve the existing problems between us two through a dialogue that is totally supported by his Russian counterpart Mr. Putin. But we know that some people in Congress and in the Senate are of a different opinion. I do not know to what extent the balance of power in the United States (and it’s none of our business, we cannot interfere in those affairs and we don’t have a slightest wish to interfere in that situation) can affect the future of our relationship. But we still consider the most important statements by the President of the United States and we do hope that there will be a chance for President Putin and President Trump to sit down together sooner or later and to discuss the existing problems. We know that President Trump has made a phone call to President Putin, he congratulated him despite what was written in various newspapers. SS: And despite Congress’s opposition to call and congratulate? DP: Yes. So, he called him and they reached an understanding that they have to come together and they decided to instruct Foreign Minister Lavrov and Mike Pompeo. SS: What do you think is the point of him replacing Rex Tillerson? I know that you said that ‘you can’t possibly go below ground zero’. So do you think things can get better with Mike Pompeo at the helm of the State Department? DP: Well, we know that he’s a very experienced person. SS: He’s a tough guy. DP: He’s a tough guy and an experienced person in the international affairs. He knows the international affairs from a different angle, not from an angle of diplomacy. But it’s important to work with all the counterparts. You can sometimes find a common ground for discussion with quite unexpected people. SS: Do you know you counterpart in the White House? I mean you’ve been with Putin for like 10 years, right? SS: And before that you worked in the presidential pool. Even more than 10 years or something like that. Obama changed his secretary, I think, four times. Trump in one year - four times or two times. Bush - five times. I don’t know what kind of longevity portion you take. But do you know your counterpart in America? DP: Yes. Unfortunately, our presidents do not meet frequently. So that’s why we don’t have a reason to contact each other frequently. But when they have meetings… They had two meetings in Germany and also there were some contacts in Vietnam. We had some contacts with my counterpart, not detailed but at least we know each other. DP: Every joke from the president carries a very important, deep understanding. SS: So how did you react? DP: … is being criticised sometimes by his boss. It’s unavoidable. DP: In the St.-Petersburg World Economic Forum. DP: You know, it’s national specialities, I would think. And it’s rather our handicap in explaining our own President, I consider it to be our mishandling of information. So we have to be more careful, more creative in explaining those jokes. DP: You know, it’s like the British sense of humour - sometimes it’s very hard to understand. SS:So tell me something - you’ve been with the President for a long time. It’s only human that in 18 years either you get tired, or you get annoyed, or you get angry and you’re like ‘I want to leave’. Did you ever feel like he was close to ‘I want to go, I can’t do this anymore’? SS:I ask about Putin, not you. Did you ever feel like he ever wanted to leave? DP: Ha, you mean Putin? SS: Yes, I didn’t hear that he has a boss. DP: No, I don’t think so. He’s got a huge understanding of what to do to make this country better. And he sees better than anyone in this country the scope of the problems. He knows the problems of different regions, he knows the problems of people working in different spheres of the economy, of civil servants, he knows ecological problems, he knows problems of production, problems of healthcare, problems of social insurance and so on and so forth. But at the same time he understands what can be the way of solving these problems. And I can feel it working next to him that it’s a huge drive for himself combined with sense of responsibility. This is a great chance for our country and a great challenge for himself. SS: That’s why you never wanted to leave him? ‘Cause that’s going to be my second question. DP: It’s an unbelievable experience, an unprecedented experience. I can hardly imagine any other position in this world that brings such an experience to you. SS: It is. I mean we’re all smiling or laughing at Trump tweeting until, you know, he’s meeting with the North Korean leader. Maybe it’s fair to say that Twitter did its fair share in the meeting? It’s really changing the whole construction of how politics and diplomacy works. Are you, guys, not considering going on Twitter or going to the social media? DP: I think that among all the tasks of technological breakthroughs in this country there should also be the task of broader usage of social media in explaining the state of affairs to our own citizens and to the world. 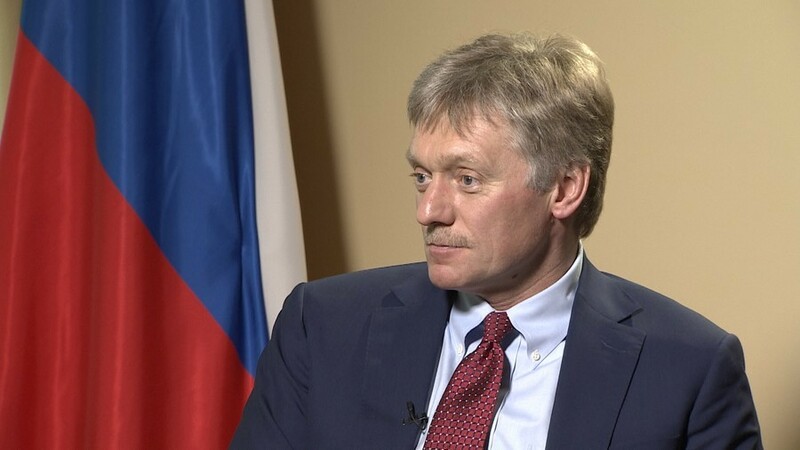 SS: Dmitry Peskov, thank you very much for this interview. All the best of luck.